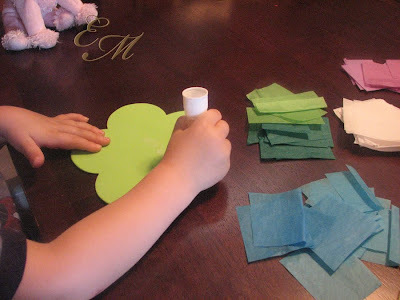 A Quick and Easy Toddler Springtime Craft. 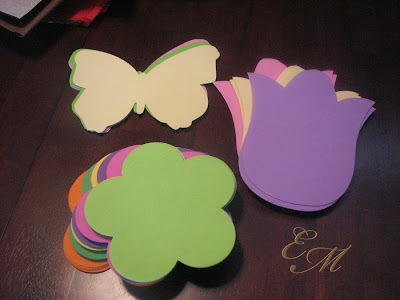 I found these adorable pre-cut foam shapes at the dollar store and immediately knew they would come in handy for one craft or another. 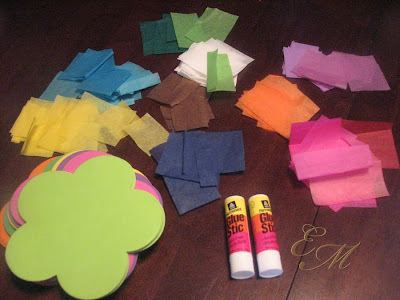 Add some tissue paper saved from various holidays and birthdays and I knew quick, easy, and inexpensive toddler crafting was within my grasp. The last two days have given us Coloradoans a taste of springtime with temperatures reaching the 60’s and 70’s, yet tomorrow, in typical Colorado fashion, the forecast calls for 5-10 inches of snow. To help battle the incoming clouds and snow we decided to make a little bit of springtime to have inside our house. 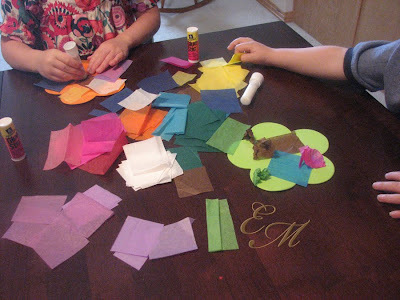 The tissue paper squares can be scrunched into balls and glued down to create a textured look, glued down as they are or folded in anyway imaginable. 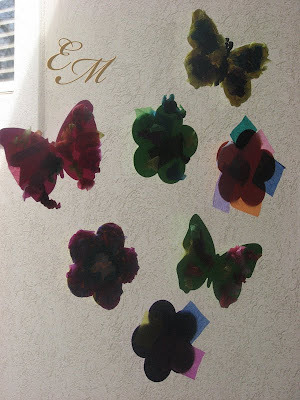 This is the time to let each child’s creativity and individuality shine. 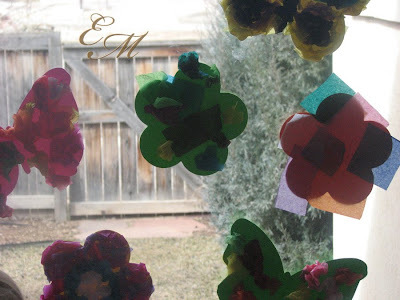 When we finished gluing down our tissue paper we hung our butterflies and flowers on our back window so that when we look outside we see lots of beautiful springtime color even though our trees are still without leaves and our grass is still mostly brown. And best of all the clean up is minimal. Man, I must own those foam cut-outs for every holiday under the sun, but I never get around to doing the cute projects I plan. I should get on that – thanks for the inspiration! How did you hang them up? Cute! Wyn made something similar at school this week.